comfort and freedom of movement for your horse. 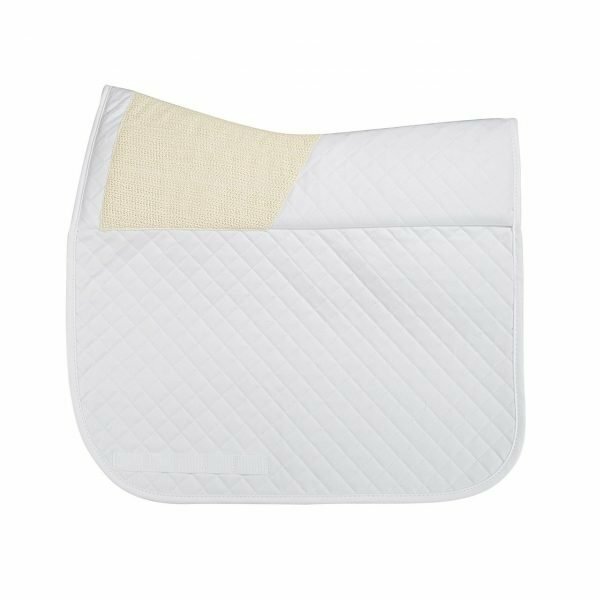 The top side is made of our sturdy quilted cotton for a traditional horse show look and a discreet amount of our high quality no-slip grip material strategically placed to help hold your saddle in place…….it’s hardly noticeable when tacked up. 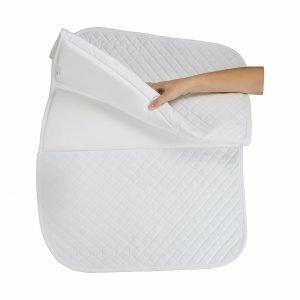 Available in Medium (23″x 20.5″) and Large (25″x 22″), White and Black. 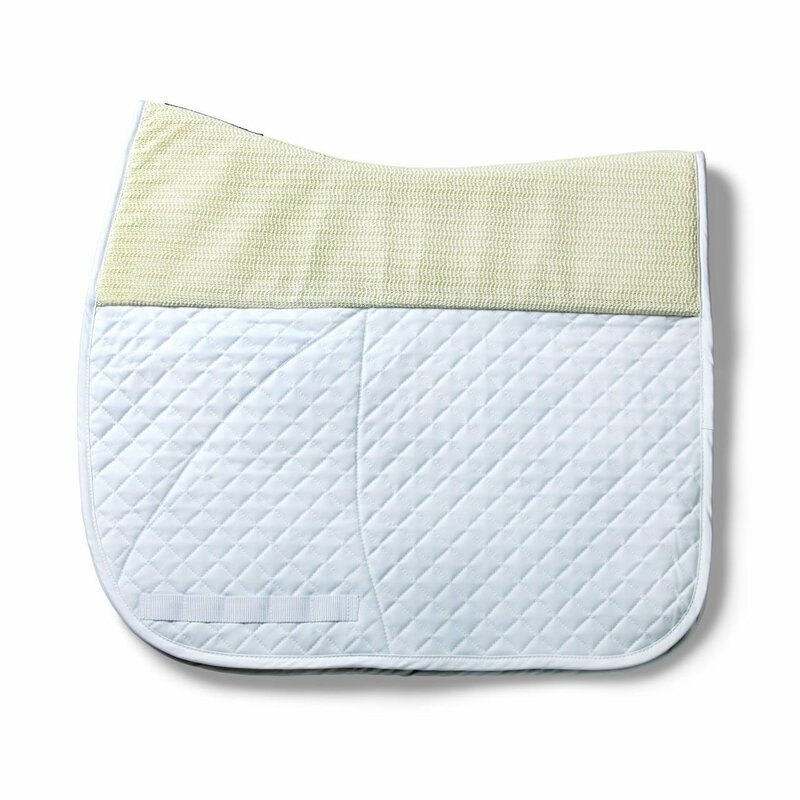 Our new pad is as easy to wash as all of our products, gentle wash with cool water and a non-bleach detergent. Line dry. Stain remover safe. Please register to view your referral link. If you are experiencing any problems with your order please alert us immediately. If we can’t correct them, items may be returned in unused condition within 30 days of receipt. Fully contoured and designed to fit neatly under most saddles, our correction half pad has four pockets and includes two inserts each for adjustability, all neatly hidden beneath an easy to use Velcro closure. 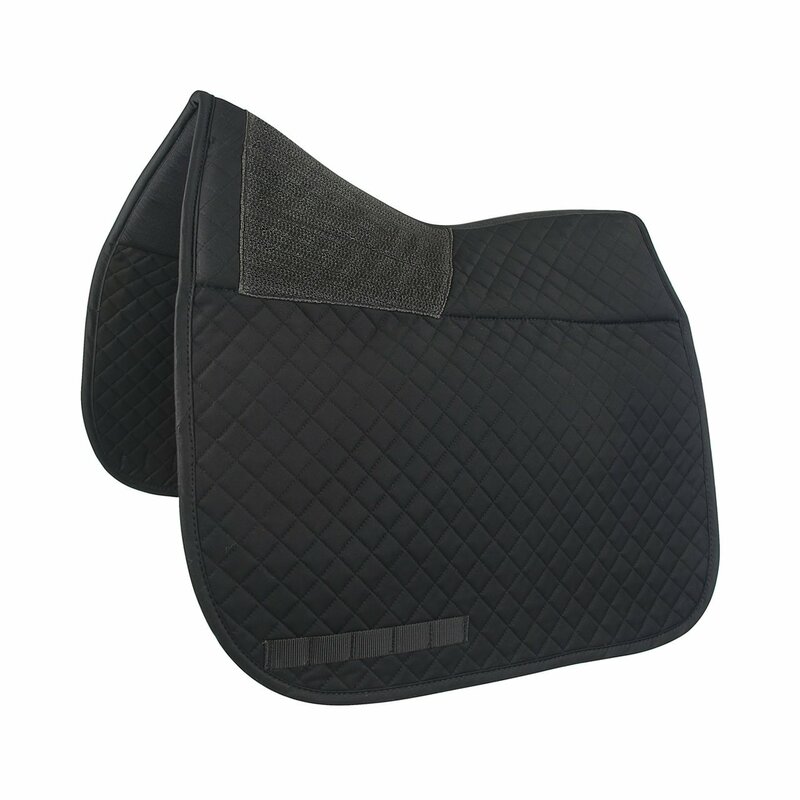 Our high quality no-slip grip material lines the bottom to keep from slipping on any saddle pad. 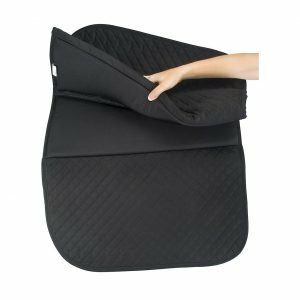 The inner layer is open cell, breathable and shock absorbing foam and a strategically and discreetly placed no-slip grip on the top helps keep your saddle from slipping.......it’s hardly noticeable when tacked up. Available in black and white, one size, 24” long. Easy to wash. Remove inserts before washing and close Velcro. Use cool water and a non- bleach detergent. Hang dry. Non-bleach stain remover safe. The Deluxe Dressage No-Slip pad will keep your saddle pad and saddle in place. 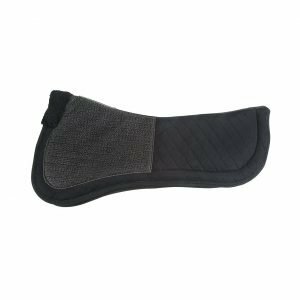 No more bunching up behind your leg, no more saddle slipping too far back or riding up the neck and no more over tightening of girths. 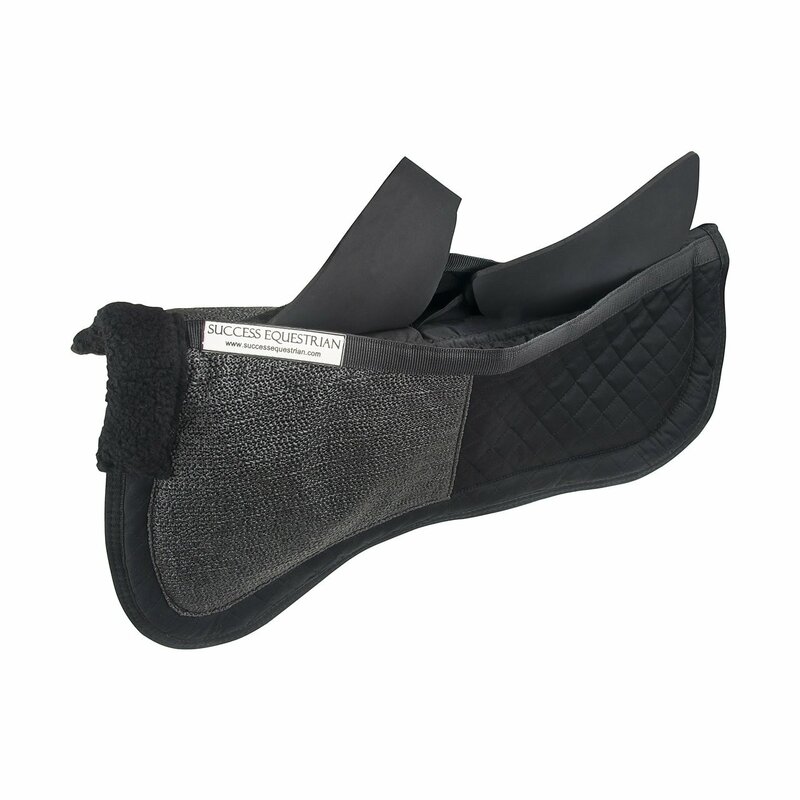 This pad prevents slippage on even the hardest to fit horses. The fully contoured top line ensures comfort for your horse. 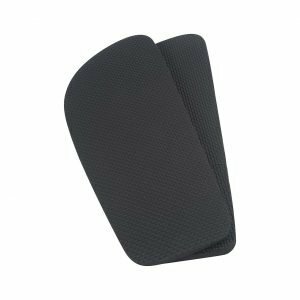 The girth loop is stitched to provide specific spacing for placement of the billet straps for the most secure and comfortable fit. 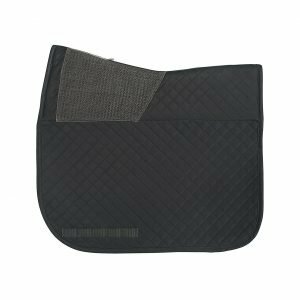 Success Equestrian Correction Pads are the professionals choice for a no slip partial pad with multiple pockets for shims. Correction pads are extremely useful for riders who have one saddle for multiple horses, and for horses that are changing as a result of weight or muscle tone changes. 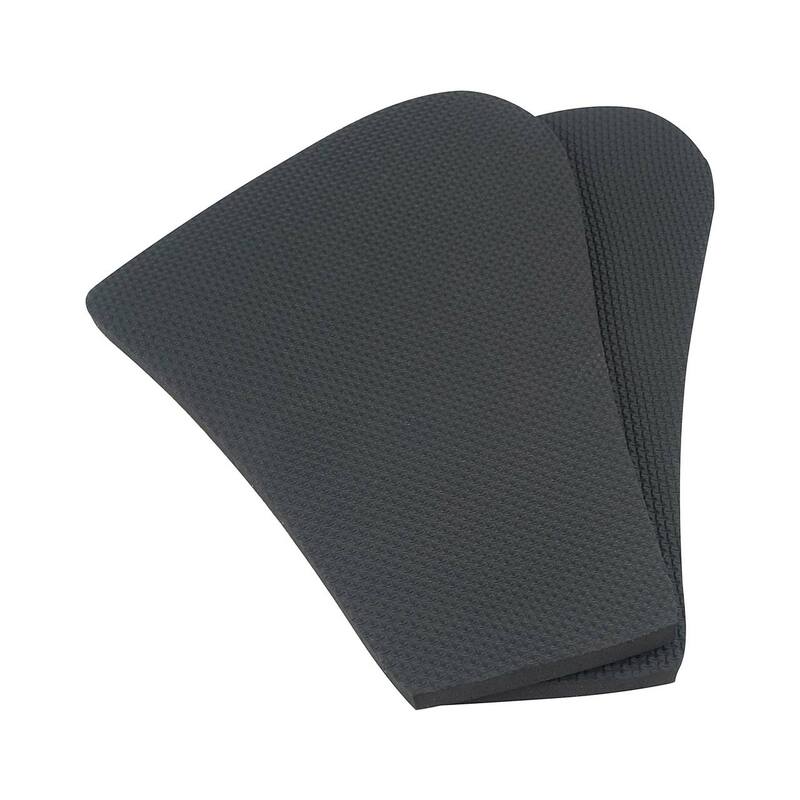 The shims can be increased or decreased as needed (left, right, front and rear) or removed completely for an unpadded no slip half-pad. 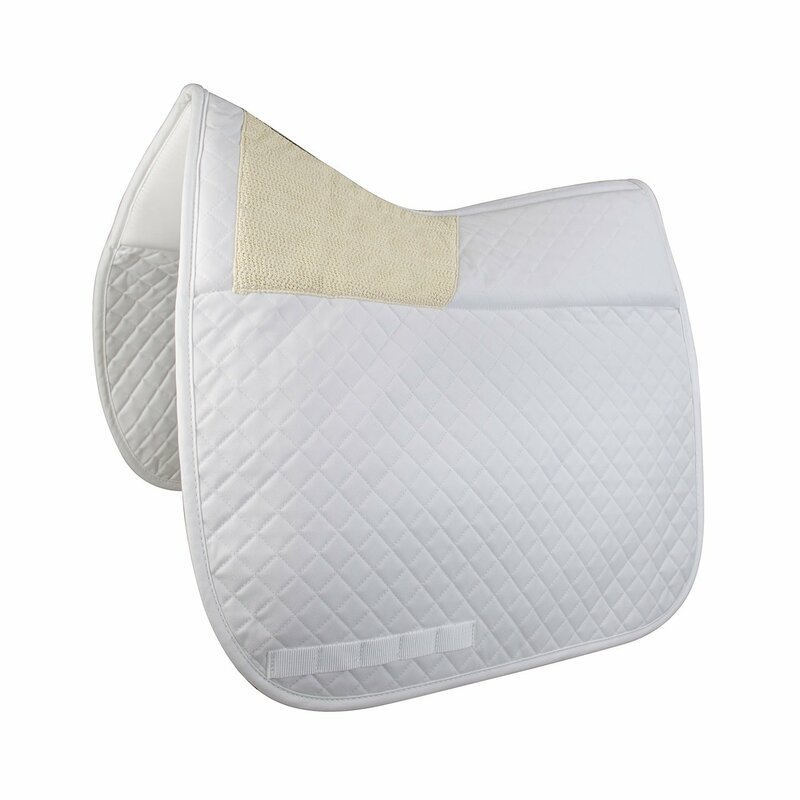 Available in: Dressage Front, Dressage Rear, Jumper/AP Front and Jumper/AP Rear. 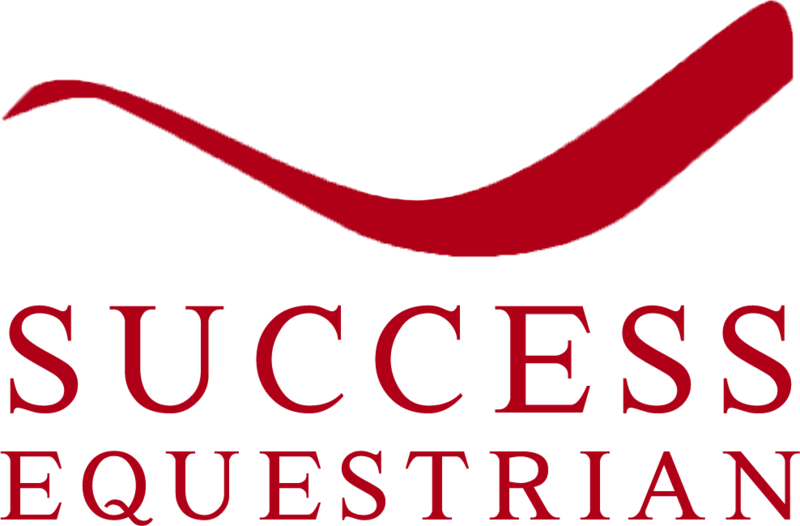 Welcome to Success Equestrian. Our mission is to provide an elegant alternative to solving every day saddle pad fitting problems. 3340 Gail Circle, Doylestown, PA, 18902, USA. © 2019 Success Equestrian. All rights reserved.